Moving home is of course an exciting time but also a very busy one. It’s generally deemed to be one of the more stressful times in life, along with getting married and taking an overseas holiday - believe it or not! 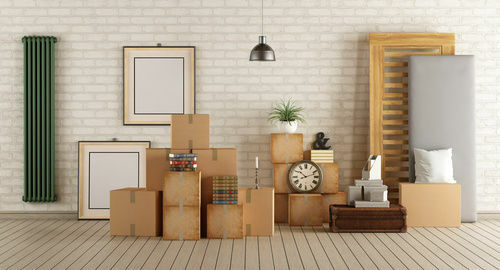 But there’s nothing like being prepared and if you can take a little time out to get a few things ready for your moving day, you can overcome any challenges that might be thrown your way. Our team have helped hundreds of home buyers and tenants on their moving day and we hear all kinds of success stories (and challenges) when we dispatch keys; so, we have a few little pieces of advice for you on your property completion date. Don’t pack your phone charger at the bottom of a box whatever you do, or those important contact numbers you’ve saved above won’t be much use at all. Most cars have a USB charging port now, but if yours doesn’t, make sure you’ve got an adapter too. If you won’t be travelling by car, then consider buying a power bank as it won’t just be handy for your moving day, but is great later down the line when you need to charge for commuting, festivals and so on. Paper cuts, cardboard cuts, scrapes and bruises are all inevitable, particularly if you’re moving your own heavy furniture. Keep a plaster or two handy and some anti-bacterial wipes. It’s helpful to have a pair of scissors and some sticky tape to hand, for emergency box repairs! You’ll also be glad of the scissors when you arrive at your new home and want to start unpacking right away. In addition, having a screwdriver to hand can be very useful if you’ve underestimated the size of doorways and need to dismantle anything to get it in or out of the house. It’s easy to underestimate the amount of time it could take to finish moving day, especially if there have been any delays like traffic jams throughout the day. By the end of the day you’ll have a team of hungry helpers ready for a well-deserved dinner. If you’re not sorted in the kitchen with ingredients, pots and pans, then cooking might not be an option. So, either book a table at a local restaurant, which will give you an incentive to get everything done before, or have a local takeaway menu to hand. Reputable removal companies will be incredibly careful with your belongings, however there is always a small risk with a home move that some items could be damaged or lost in transit. A top tip is to make sure you have photographs of your most precious belongings and any breakables, for insurance purposes. Photos will also be handy if you need to replace anything that’s been lost, particularly if your child loses a favourite toy that they can’t sleep without. The whole team at Oakley wish you a successful moving day. If you’re renting or buying via any of our Oakley offices, we will be available to support you during office hours if you have any questions about your new home once you’re in, or need help with keys; so don’t hesitate to ask.